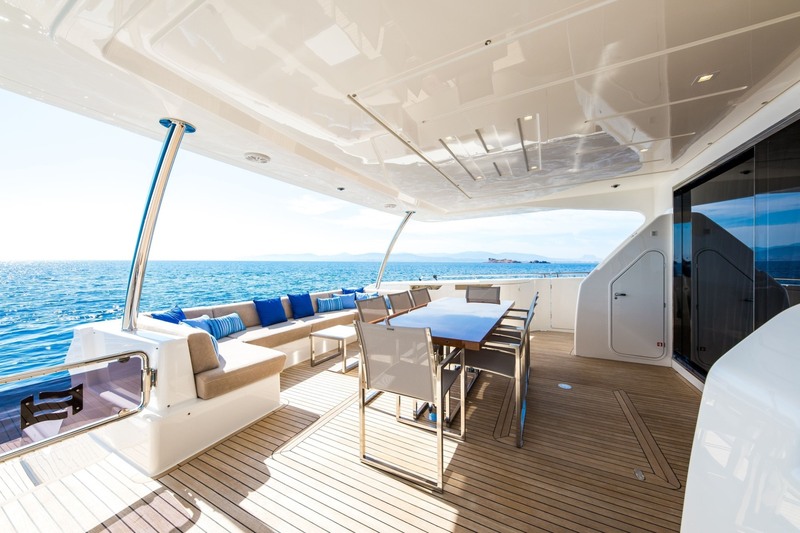 This Ferretti 960 yacht boasts fabulous exterior decks with a well-appointed aft deck featuring an alfresco dining table and a large foredeck with a seating area and sunbeds. 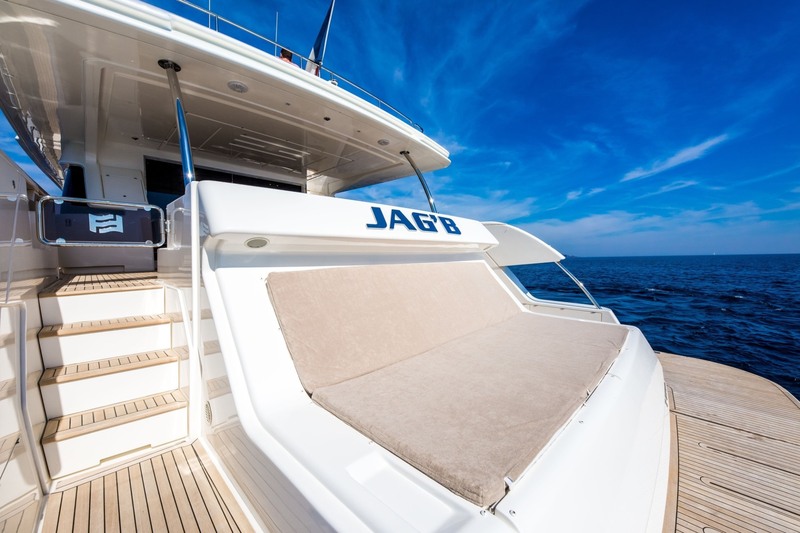 The flybridge is complete with an additional alfresco dining option, seating, sunbeds and a jacuzzi. 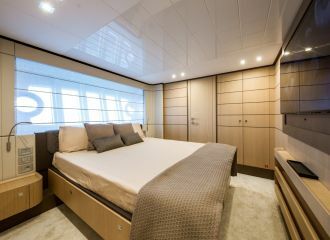 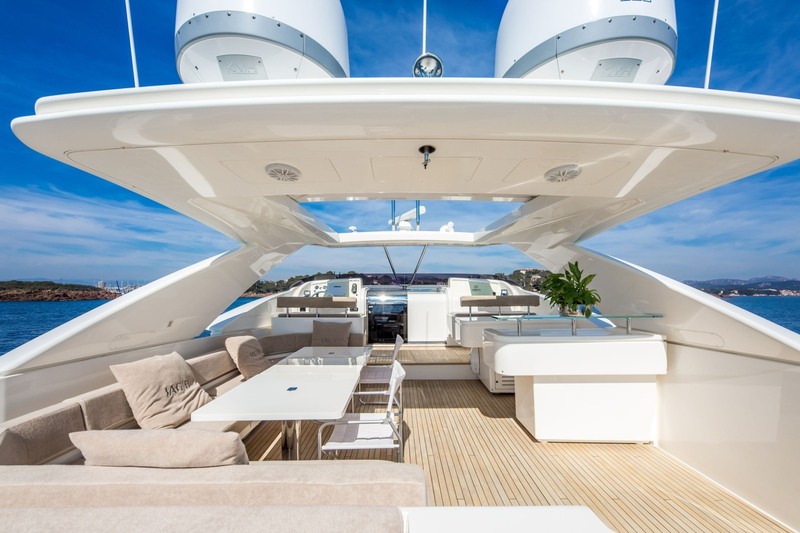 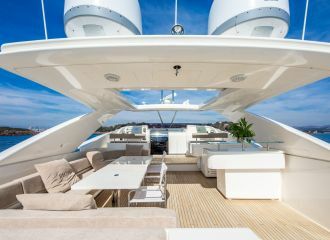 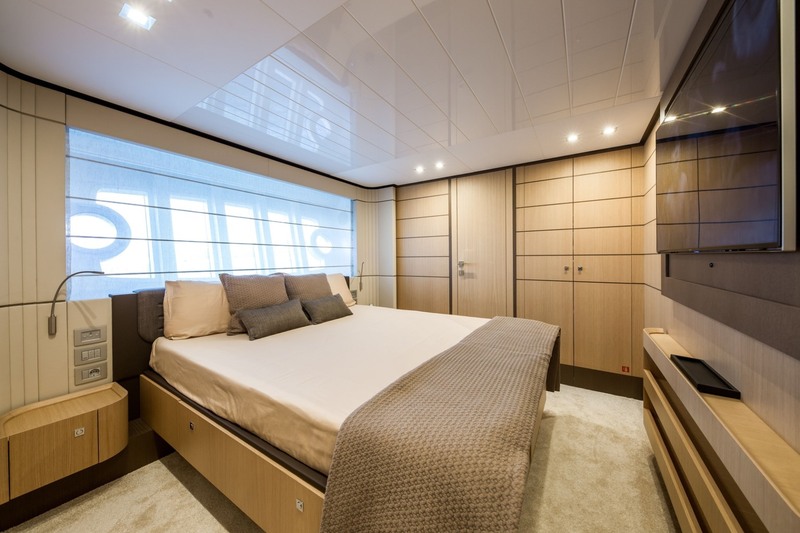 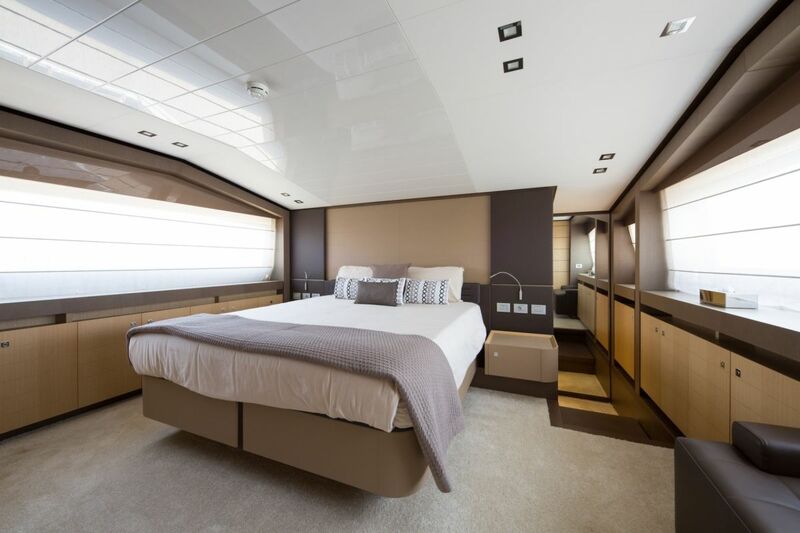 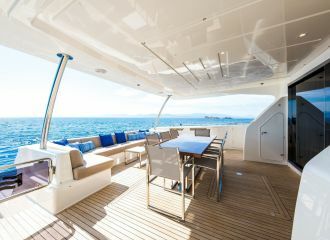 The interior of the yacht is contemporary and very elegant with earth tones. 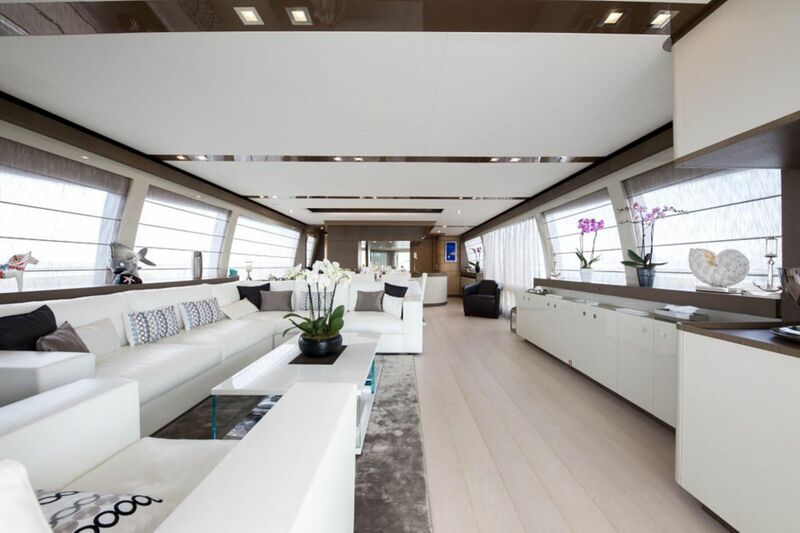 The saloon and dining is an open area with a generous lounge aft. 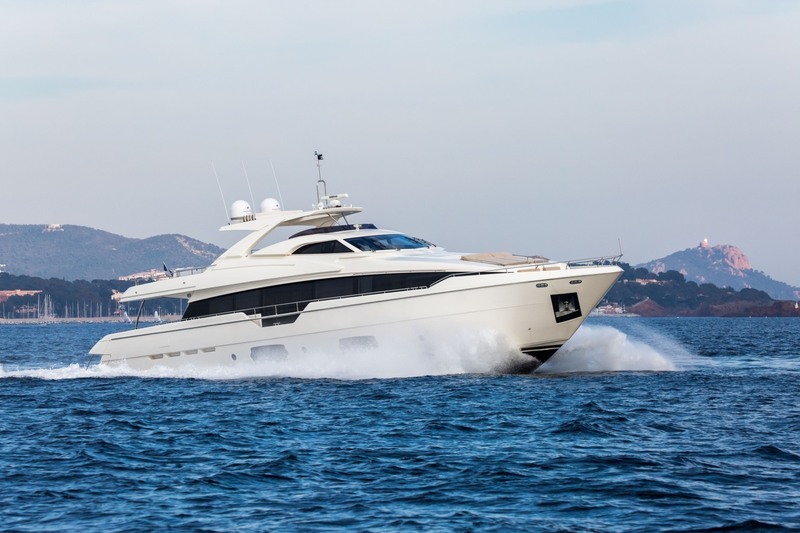 This Ferretti 960 yacht offers accommodation for up to 10 guests in 5 double cabins: one master on the main deck and four identical double on the lower deck. 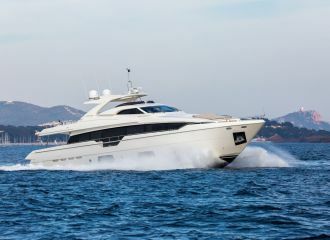 She is currently available for a south of France yacht rental. 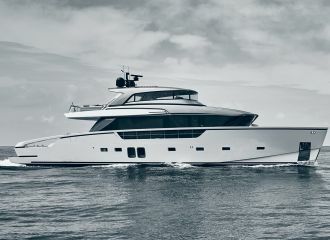 total 11500	€ Excluding VAT and APA ?